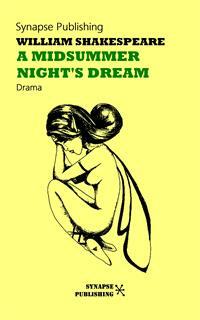 A midsummer night's dream one of the most popular of Shakespeare's works. The supernatural and the mundane, the illusory and the substantial, are all shimmeringly blended in this drama. It brings together aristocrats, workers, and fairies in a wood outside Athens, and from there the enchantment begins. Simple and engaging on the surface, it is none the less a highly original and sophisticated work, remarkable for both its literary and its theatrical mastery. It is one of the very few of Shakespeare's plays which do not draw on narrative sources, which suggests that it reflects his deepest imaginative concerns to an unusual degree. Happy be Theseus, our renownèd duke!